On every October 31st there is one thing you'll be certain to see in front every door, a pumpkin. But these aren't just normal squash because these orange orbs have faces carved into them. Now some of these faces are scary, some are goofy, but most tend to have smiles. But why do these pumpkins smile? Because they're excited for it to be Halloween! We know how they feel. Halloween is such an exciting time, and the pumpkin has become the unofficial mascot for the holiday many of us know and love. Pumpkins, in more specific terms, Jack-o-Lanterns are an expression of their owner just as much as they are a traditional Halloween decoration. Pumpkins can be carved into any face or shape we like, which is often a reflection of our own personality. 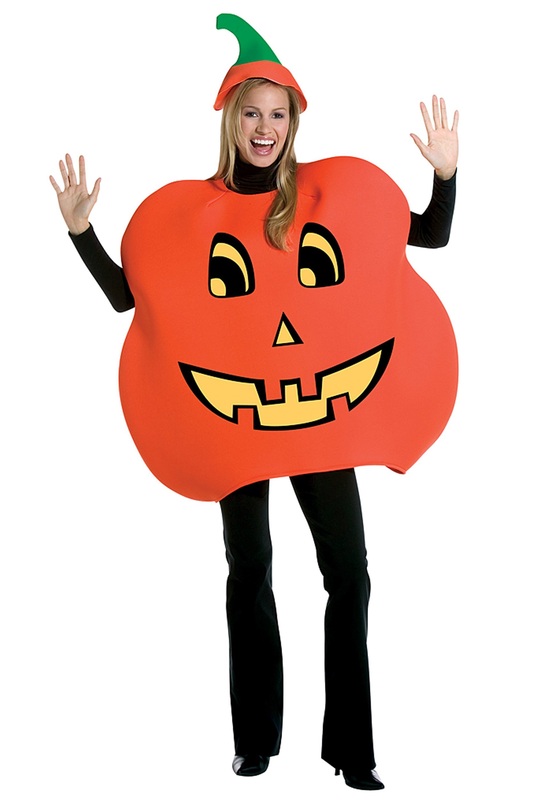 Now you can look just like a grinning Jack-o'-lantern in this classic costume! What’s better than carving pumpkins for Halloween? Why, becoming one yourself, of course! This adult pumpkin costume will transform you into a Jack-o-Lantern for Halloween instantly. The 100% polyester orange tunic has a giant Jack-o-Lantern printed on the front of it for an instantly recognizable look. An orange headpiece with green stalk is also included to top off this classic look! This pumpkin costume is affordable, comfortable, and easy, which makes it an ideal choice for anyone to wear for a night out (or a night in passing out candy)!